First of all, thank you for viewing this page! This is Me, Muhammad Ahmad, a blogger from Pakistan. In this post, I am going to share my 4-years journey. Many of my friends asked me about how I got into this online world. I will share my whole story, hope you’re going to enjoy it! 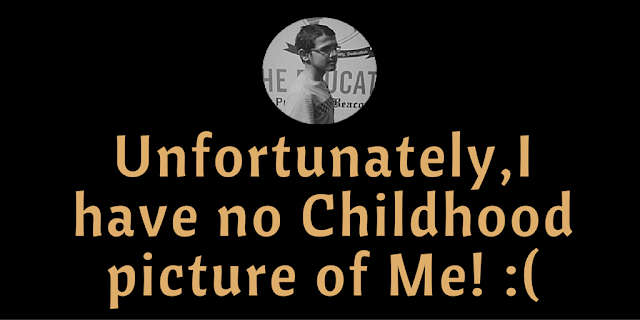 Before I share my journey to blogging, let me share something about my childhood. I was born in a village at March 8, 2000. My Grandpa named me Muhammad Ahmad. After I got my attention revealed, I saw my elder brothers regularly going to school via RickShaw from Village to the city. One day, I went with them and that was my first day at School. According to Mom, “I was about 2.9 years old when I went to school for the first time”. That’s all. In Childhood, I remember playing Cricket and Volley Ball (that’s very popular game in Pakistan Rural areas). I had no computer, no electricity there. I used to play with toys that I bought by collecting my pocket money that was 5-10 PKR (a day). When I was 6, my whole family shifted to a City Khanpur. I was happy to know that it was a permanent house that my father had bought for 7 lacs. I got admitted in a school that was near to my house. Then I started going to school regularly. My elder brother asked dad to buy a computer (PC). And after some months, Dad came home with a PC and heavy monitor screen. I kept playing Games, watching Cartoons at the computer. After a couple of days, The internet came in my home. That was PTCL DSL connection. I didn’t know what the heck was that but I kept on looking the computer screen, when my brothers used to play games online, watch videos, etc. And then…..
How I entered in this Huge Online World? Ahmad, do you want to have your own website? He opened Blogger.com in front of me and showed how to create a blog with it. I created many blogs that day! I googled about ‘blog’ and ‘blogger’ and found MyBloggerTricks.com. I became a silent reader there. So, I learned everything there. I kept using .blogspot.com (free domain) for about 2 years (2011-2013). After that, my elder brother (security Researcher) gifted me ‘Techeism.com’ domain. I was pretty excited to work on .com domain. With great excitement, I used to sit in front of computer writing some words daily and publishing and I called that a post! As time passed, I learned new things about Blogging. In the start of 2015, I lost my blog Techeism.com and you’ll be thinking how?? In fact, the domain registrar account was hacked and my domain was lost in the dark! I had no online method to pay for my domain name. I contacted a friend, he bought the domain and then I paid him via local money transfer. I hosted my blog at Blogger.com, later on, I migrated to WordPress. I got familiar with WordPress and learned something great by working at WordPress. TutorialsFist gave me exposure. I got connected to many bloggers! I am still making money through my Level 1 seller profiles, but I got Level 2 seller account banned due to some critical issue. As we know, lost just makes us strong and I got stronger enough to make handsome money from Fiverr. Now, I am starting this blog! I’ll share what I learn new in (Affiliate) Marketing, interview PRO Marketers here & help you, whenever you need! Your views about my story? Share me in the form of a Comment! Keep inspiring and Best of Luck! !